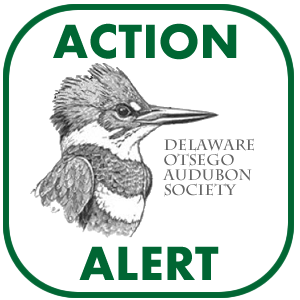 An opportunity to strengthen the nation’s most important bird protection law–The greatest achievement of the Audubon Society came in 1918, with the passage of the federal Migratory Bird Treaty Act (MBTA). This law came out of the earlier efforts by Audubon and other conservationists to end the market hunting for plumes and food that decimated bird populations and ultimately led to extinction of the Passenger Pigeon. The MBTA largely ended these practices and no doubt saved other species, such as Snowy Egret, from extinction. It continues as the basic bird protection statute that protects songbirds, raptors, shorebirds, wading birds and others from hunting, egg collection, and other threats. In addition, the treaty approved by the act or similar agreements are now in effect in several other nations including Canada, Mexico, Japan, and the Soviet Union. The law has been amended over the years to address new threats to birds, and the U.S. Fish and Wildlife Service is now proposing to further expand the kinds of activities it would effectively cover. This approach could help reduce the number of bird “death traps” that kill tens of millions of birds each and every year. Uncovered oil waste pits, unshielded power lines, cell towers, and other hazards will be given specific attention in the MBTA.